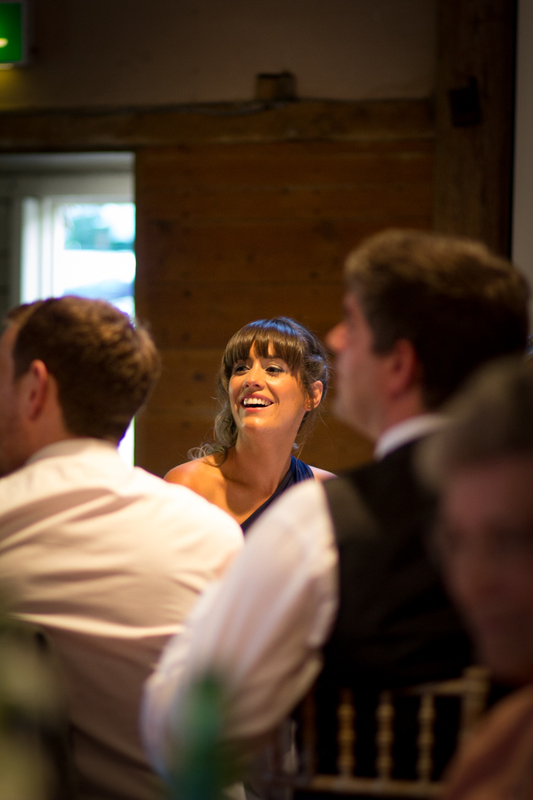 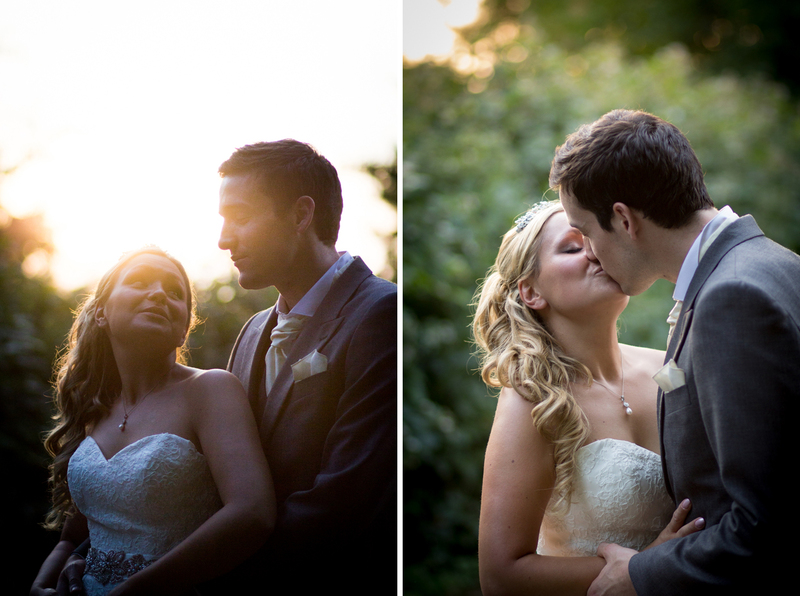 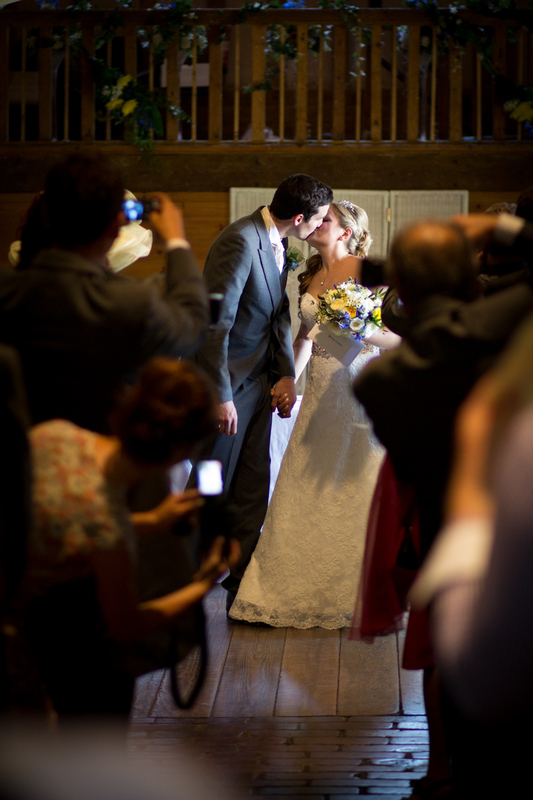 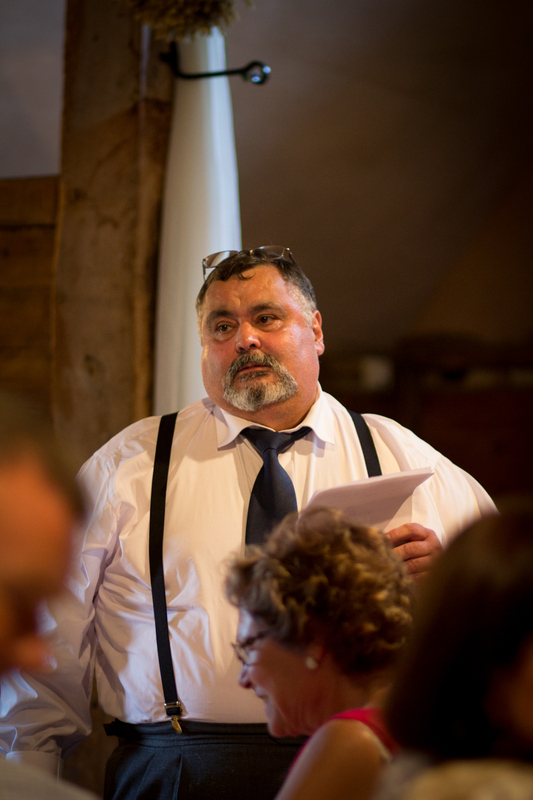 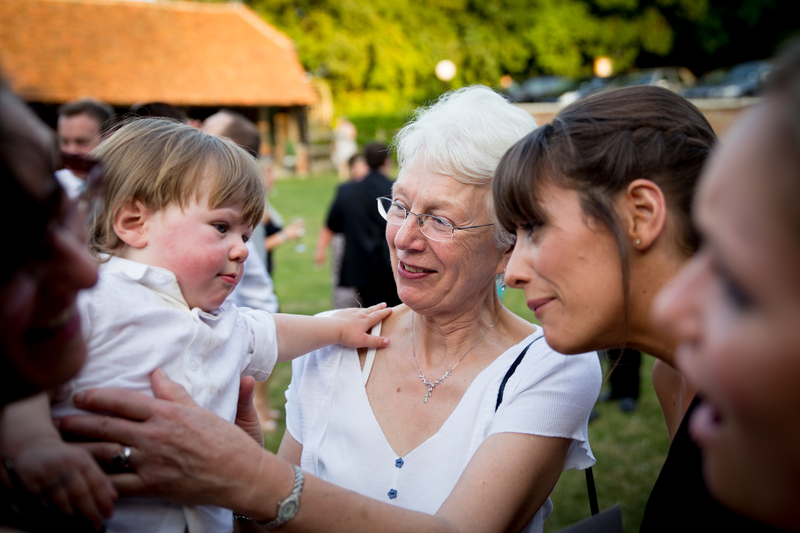 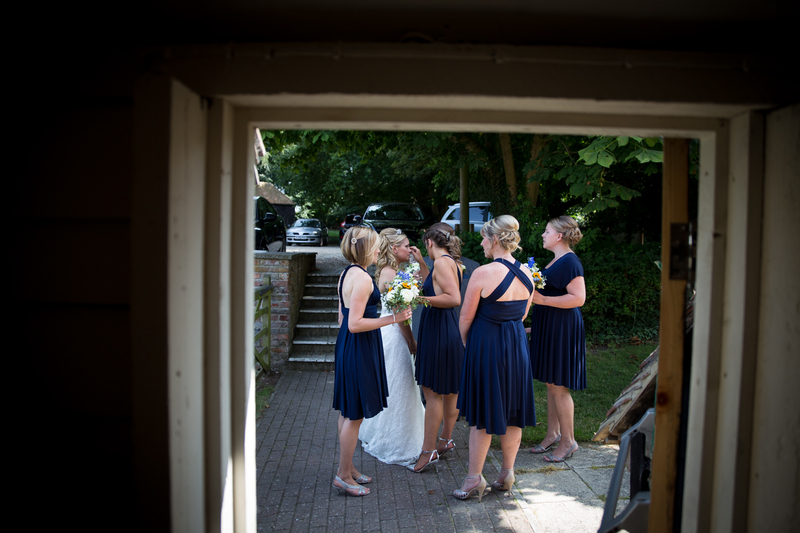 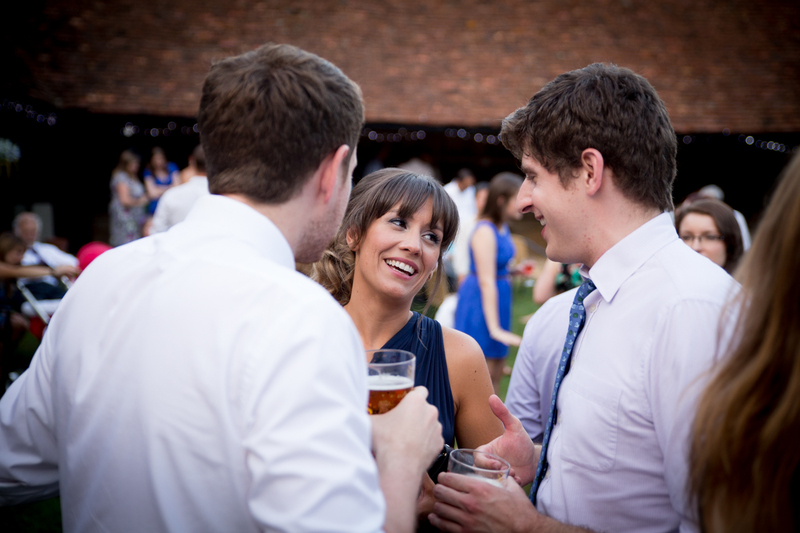 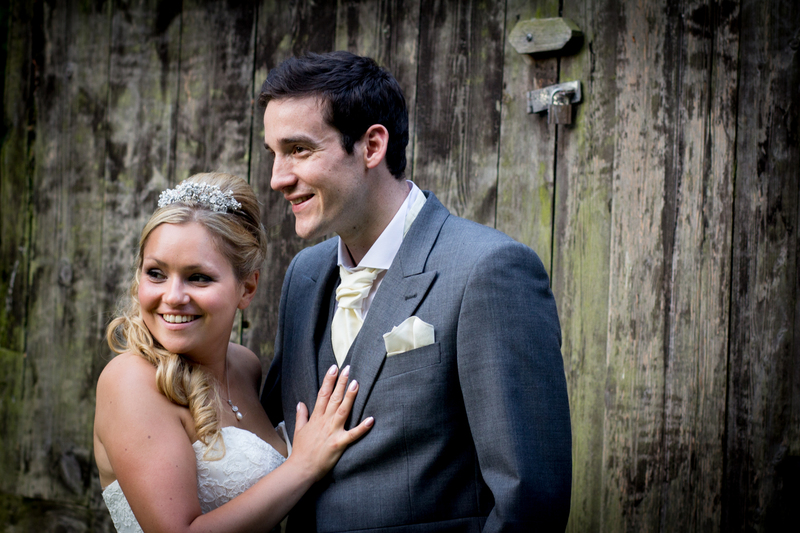 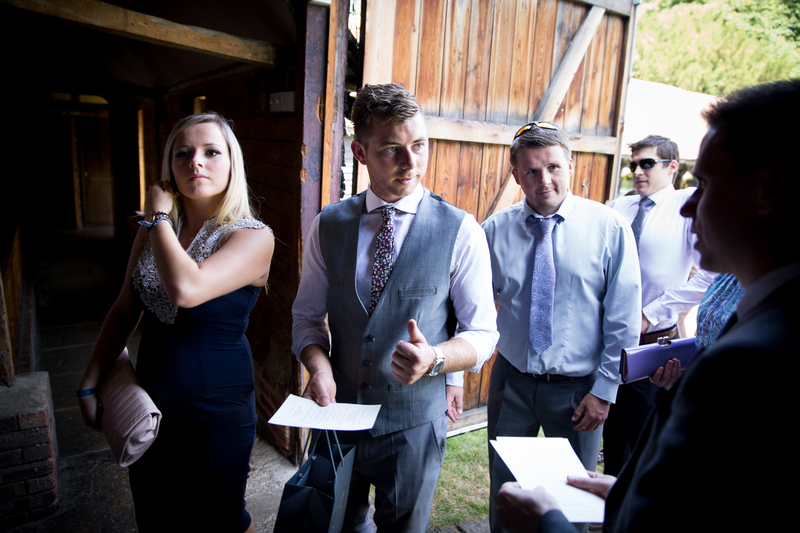 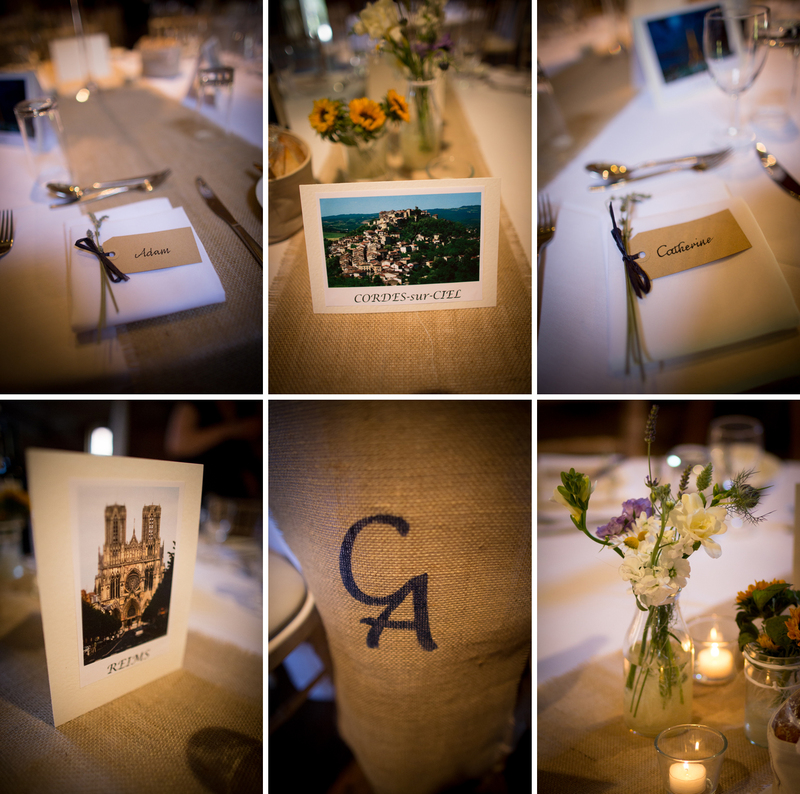 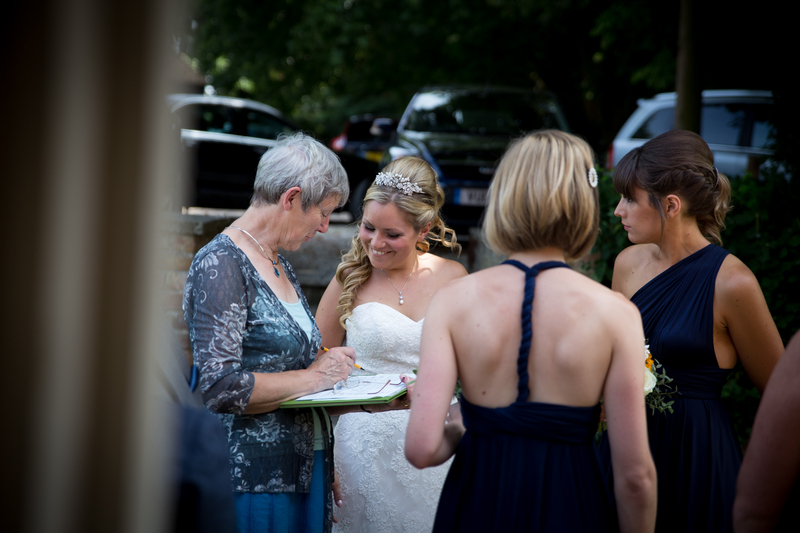 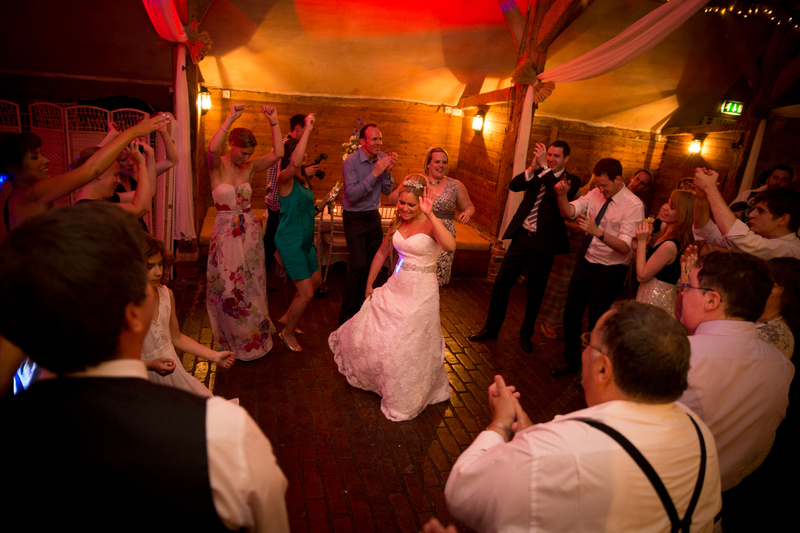 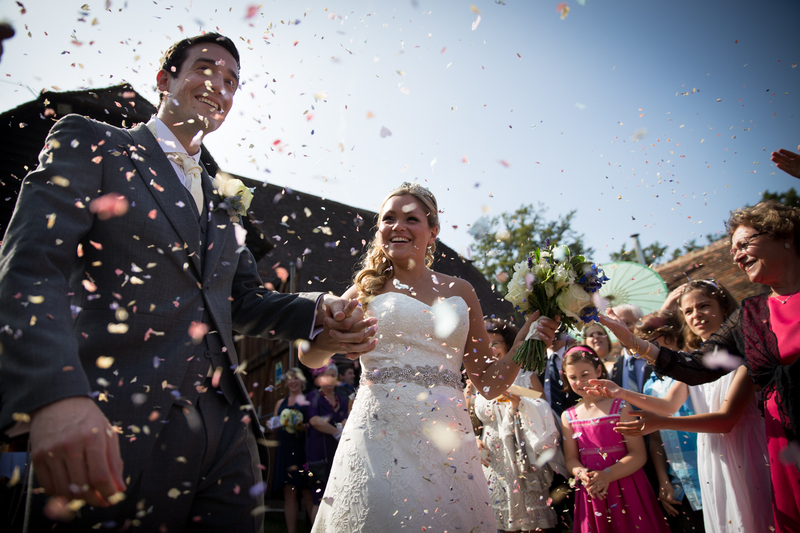 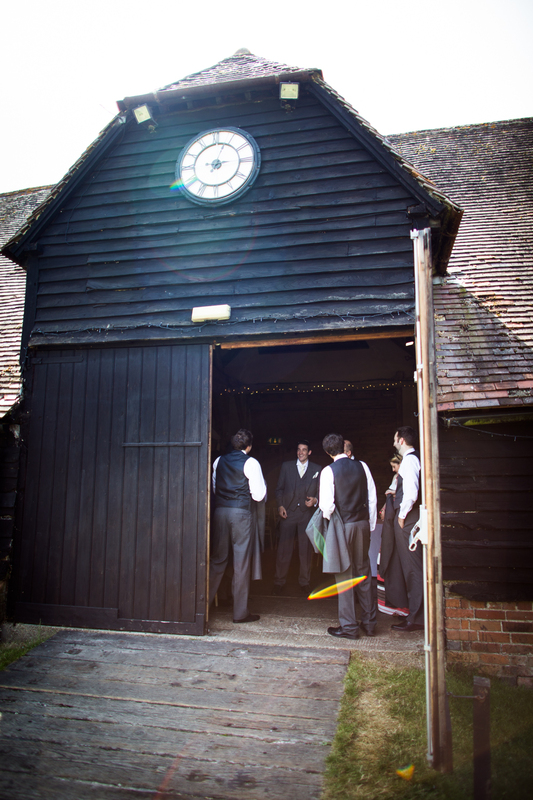 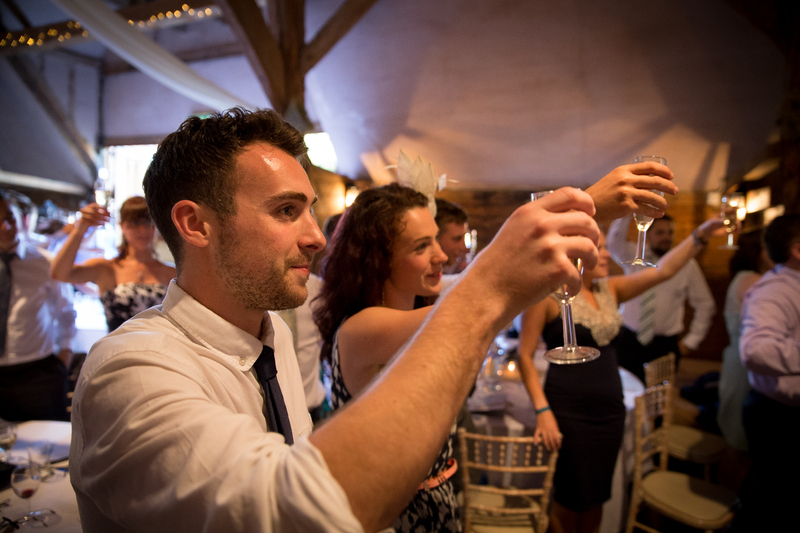 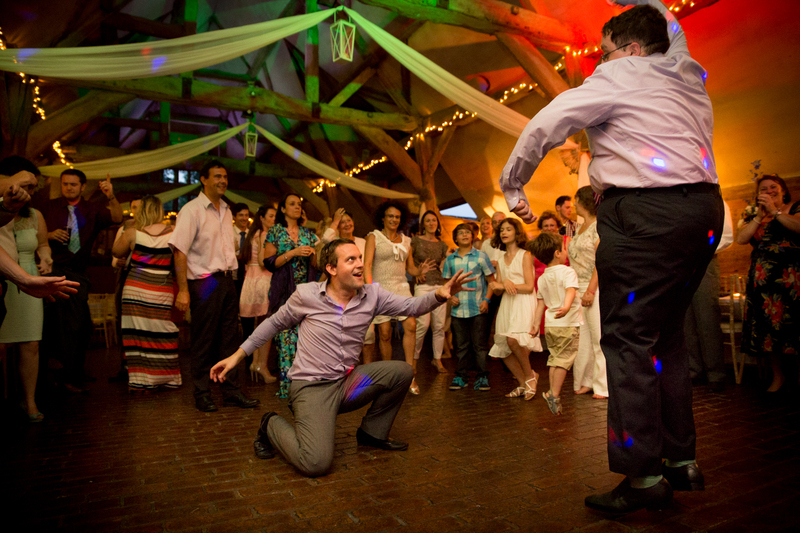 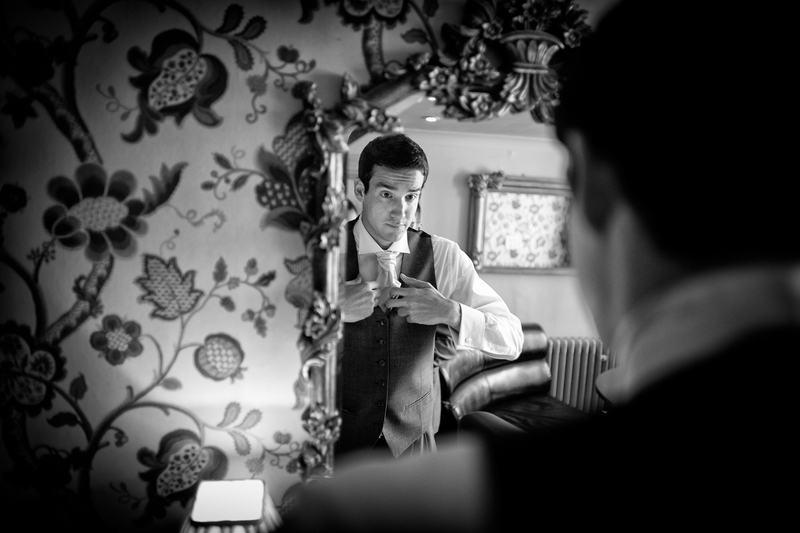 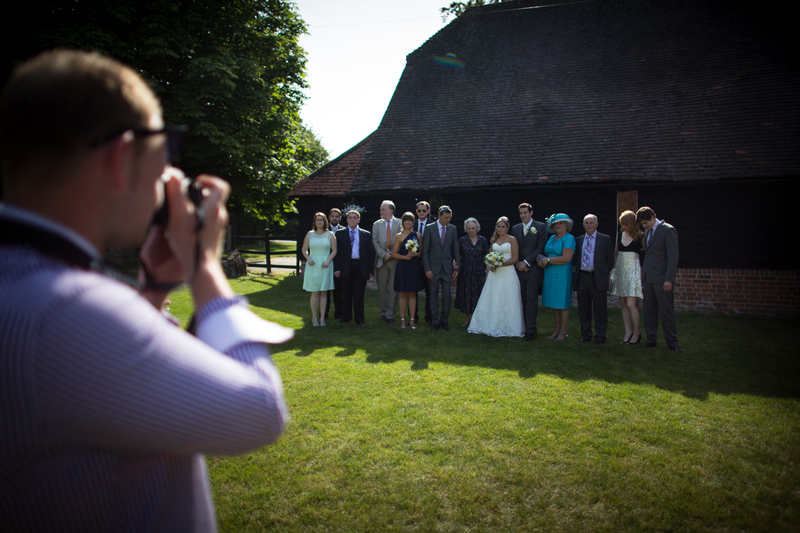 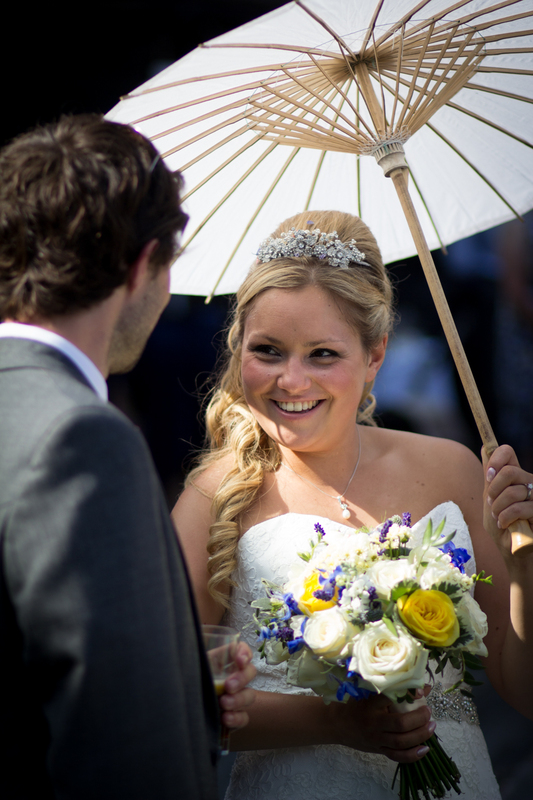 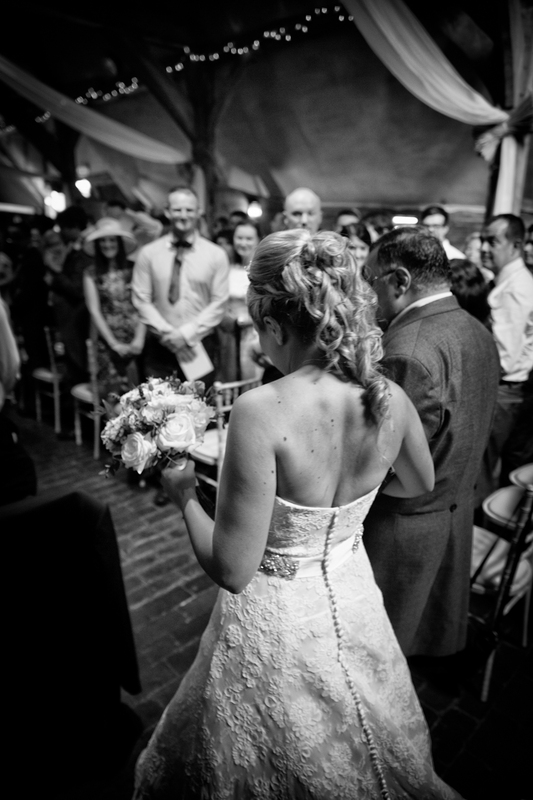 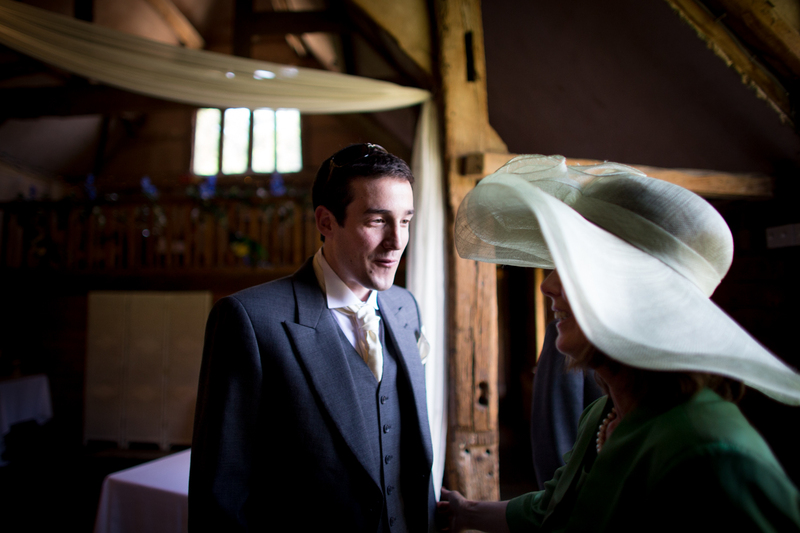 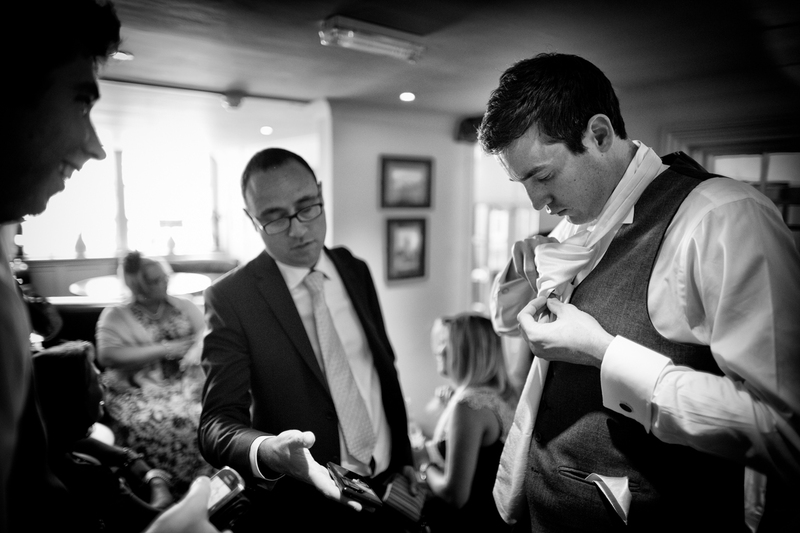 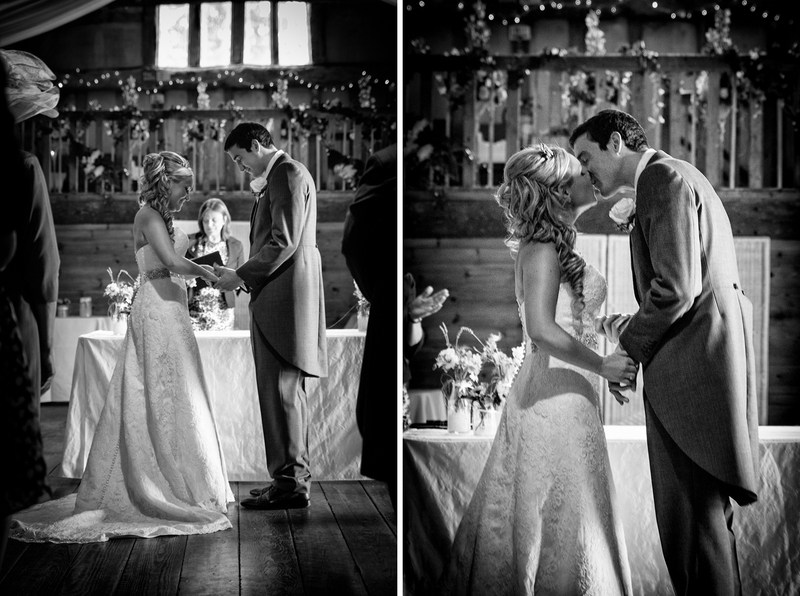 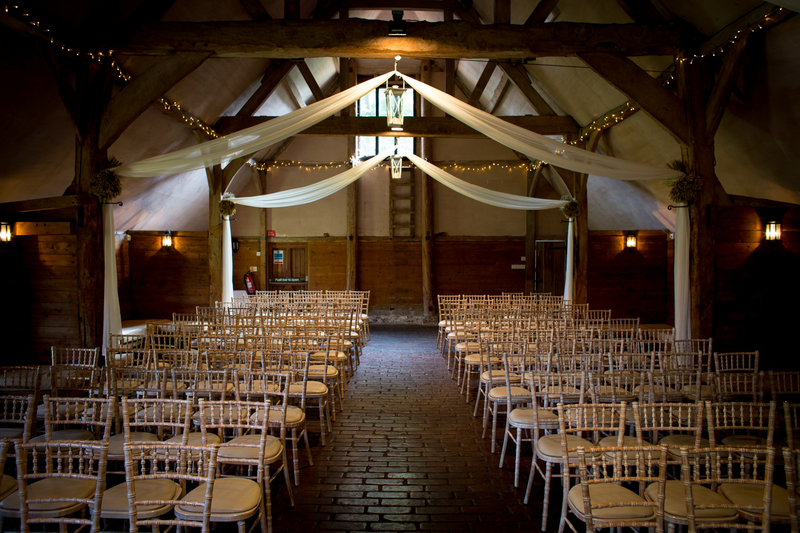 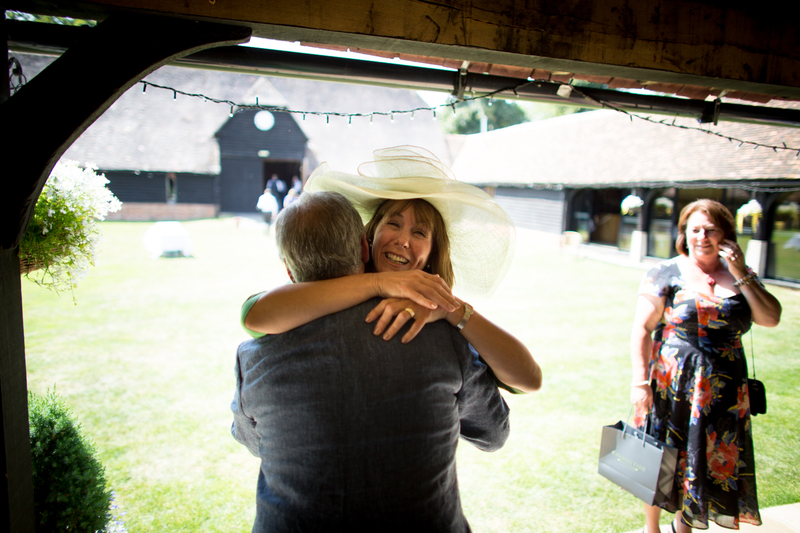 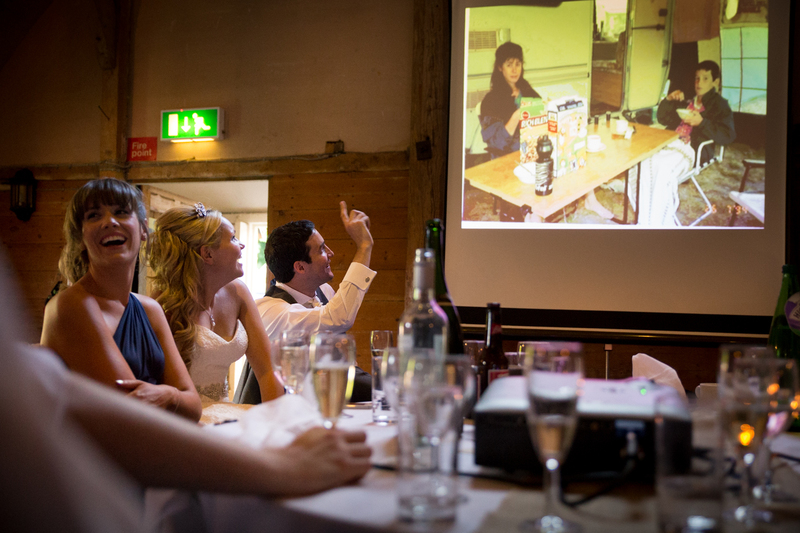 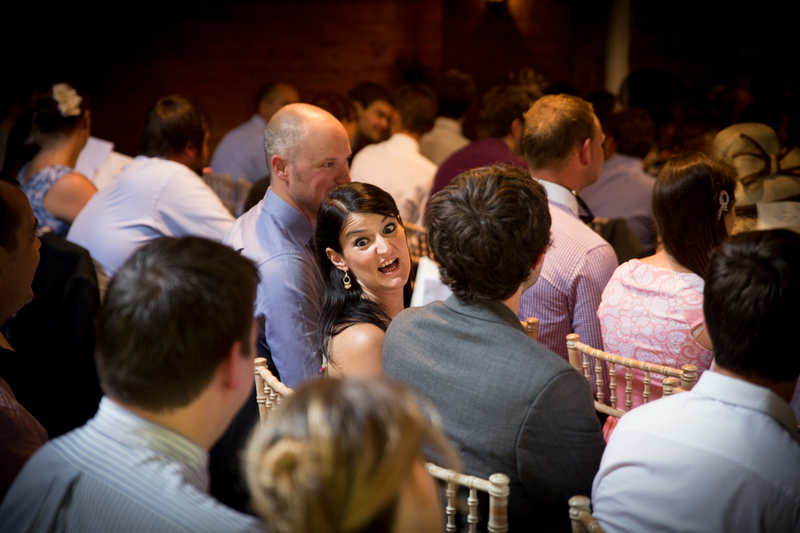 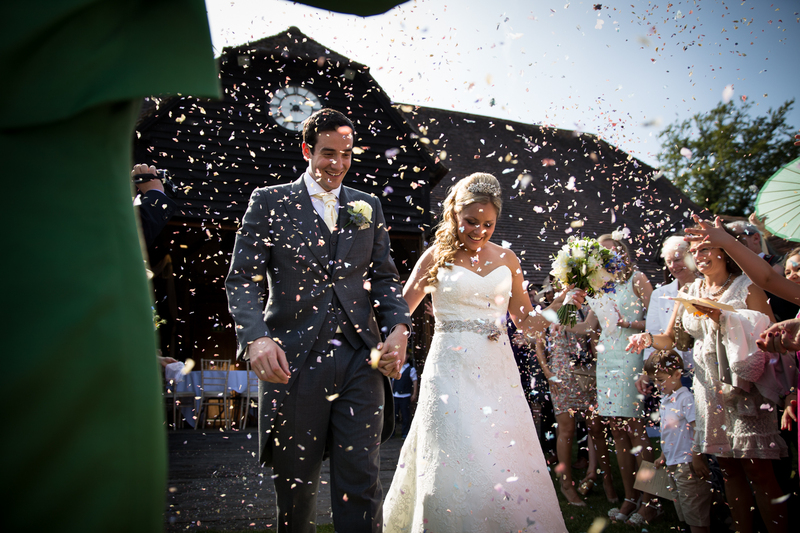 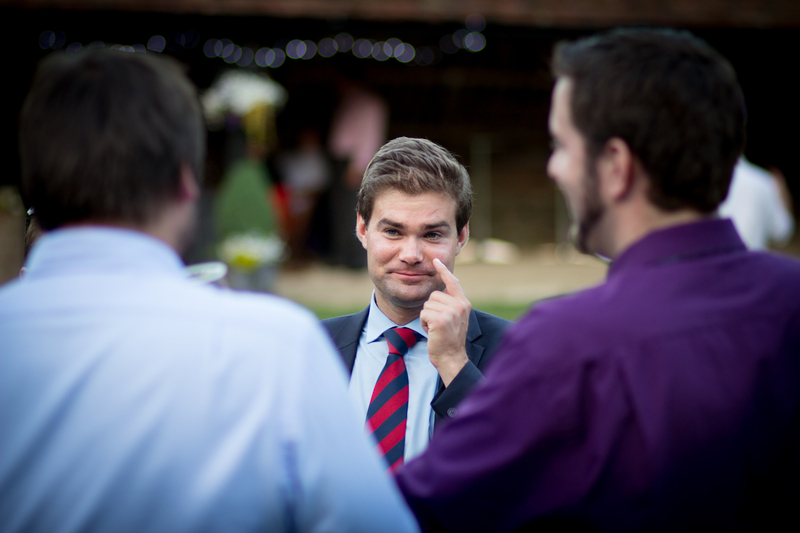 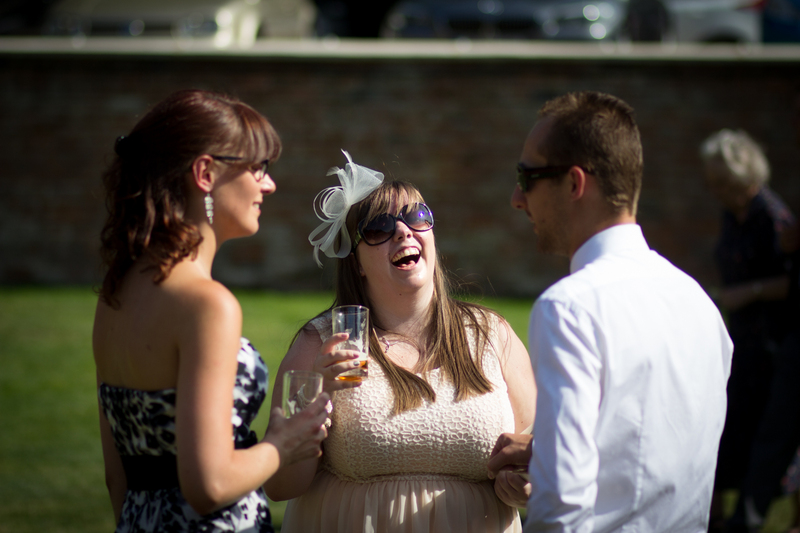 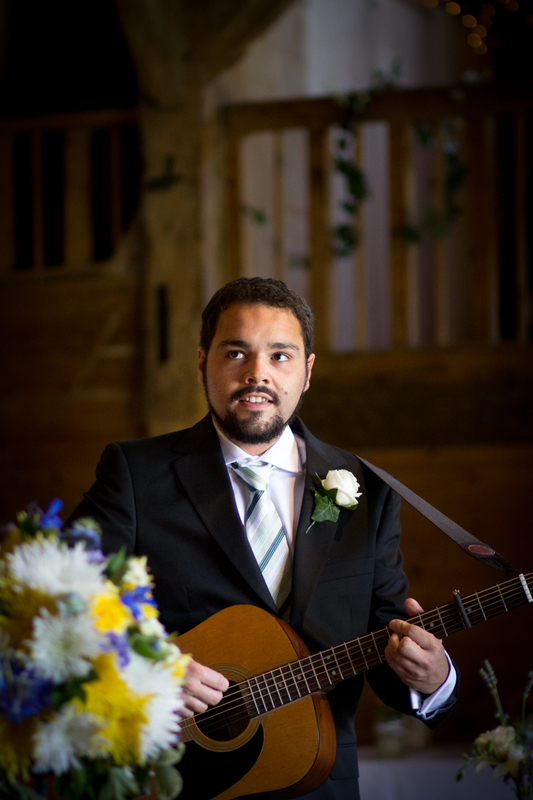 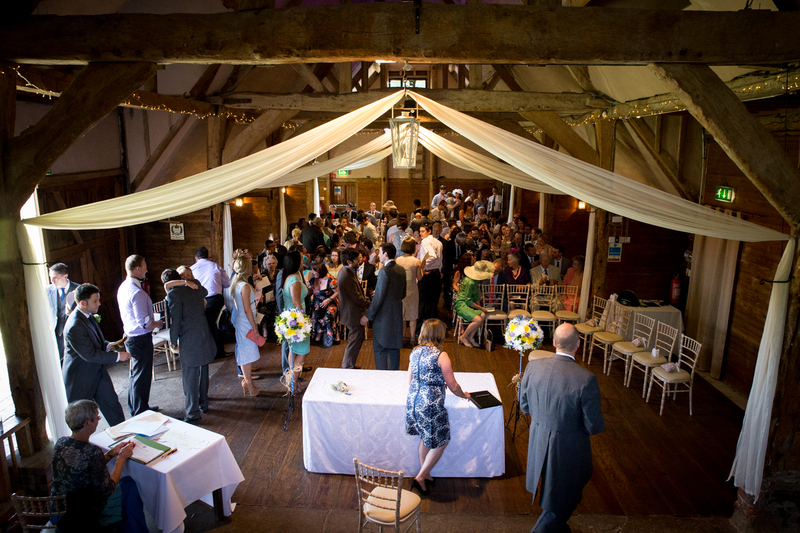 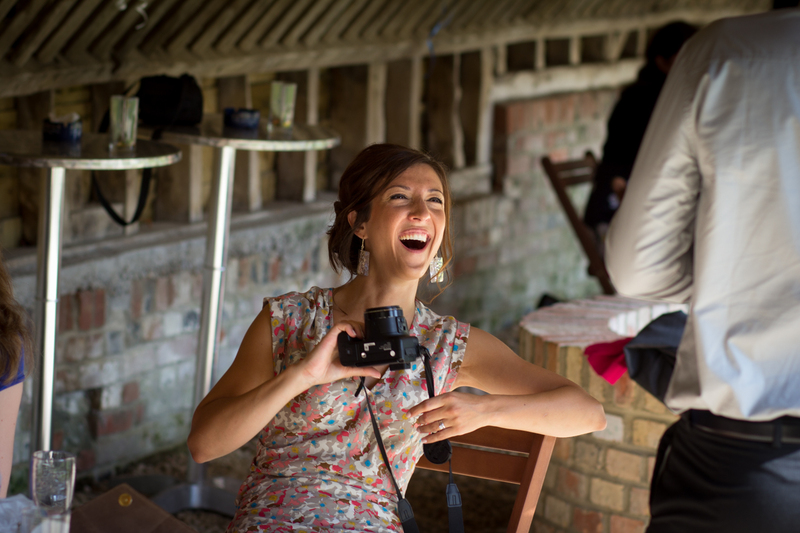 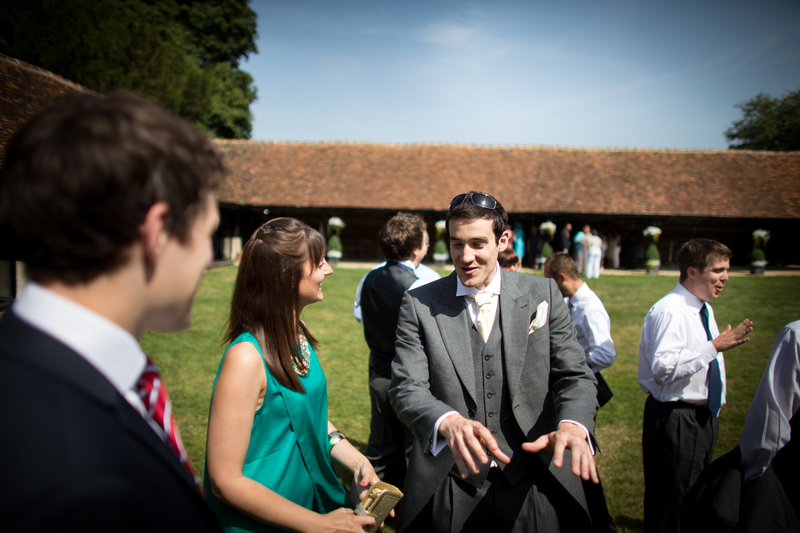 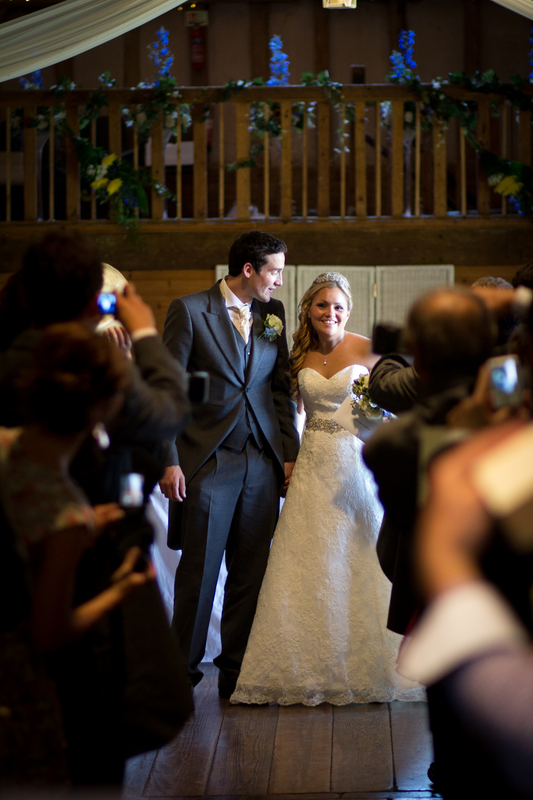 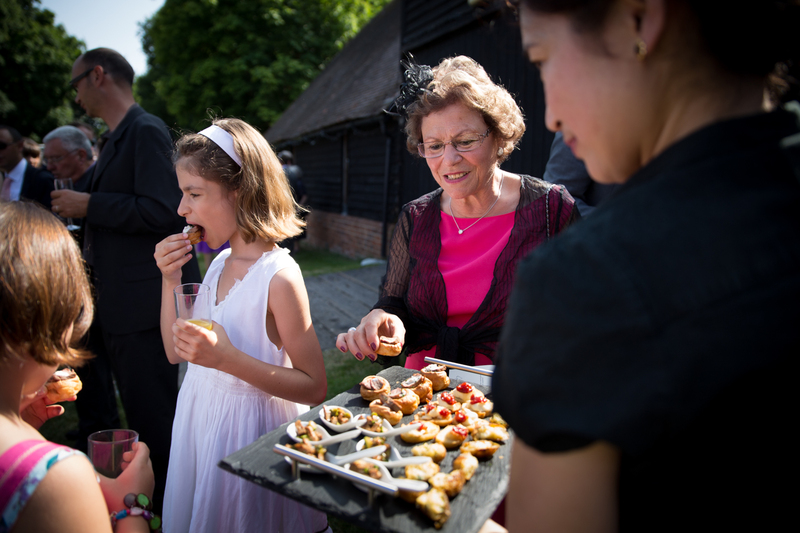 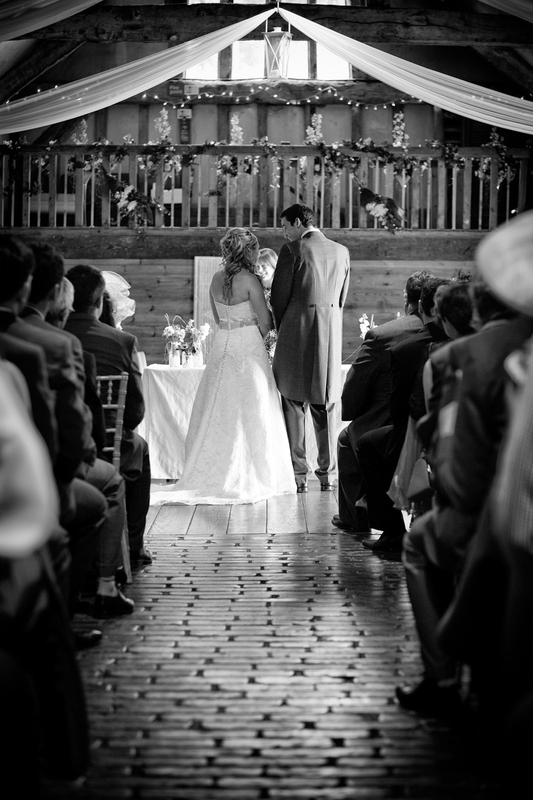 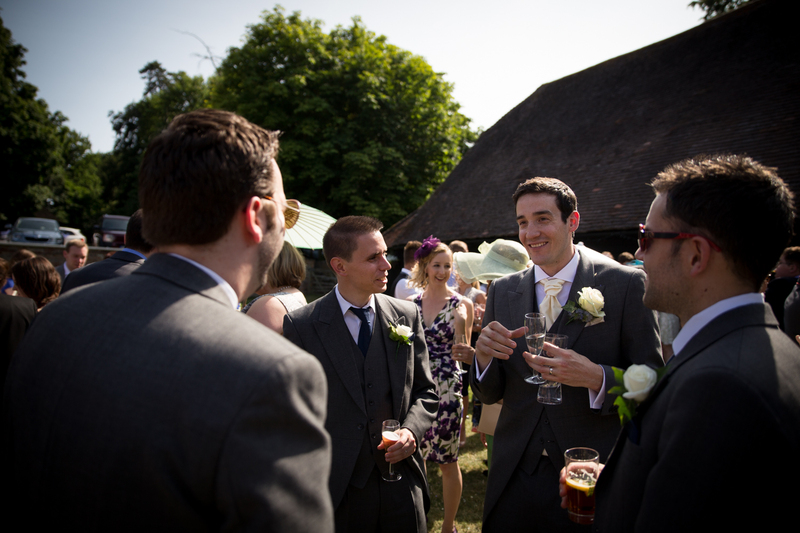 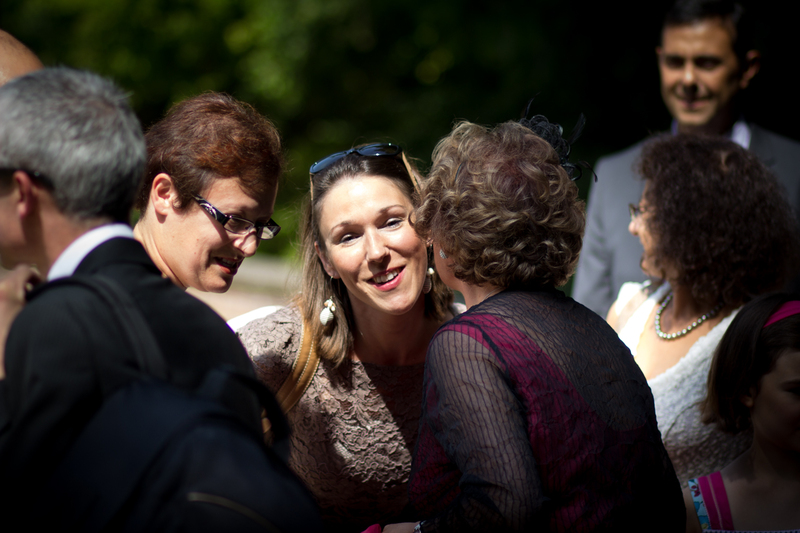 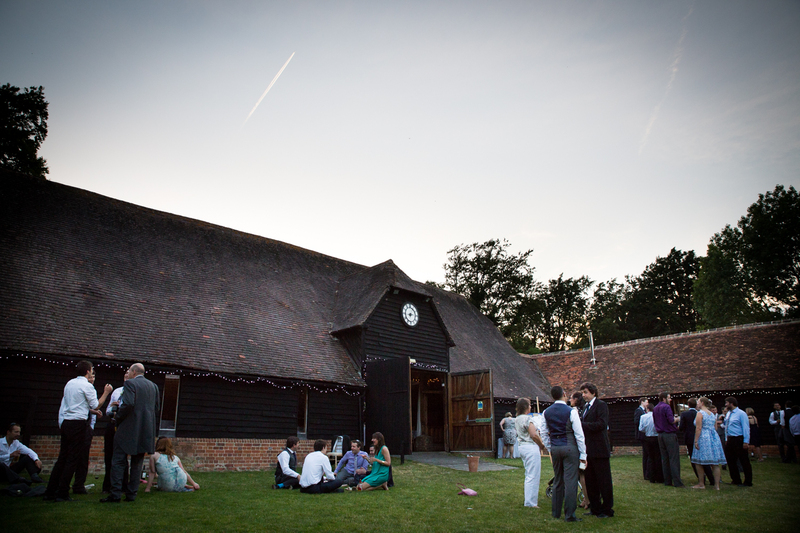 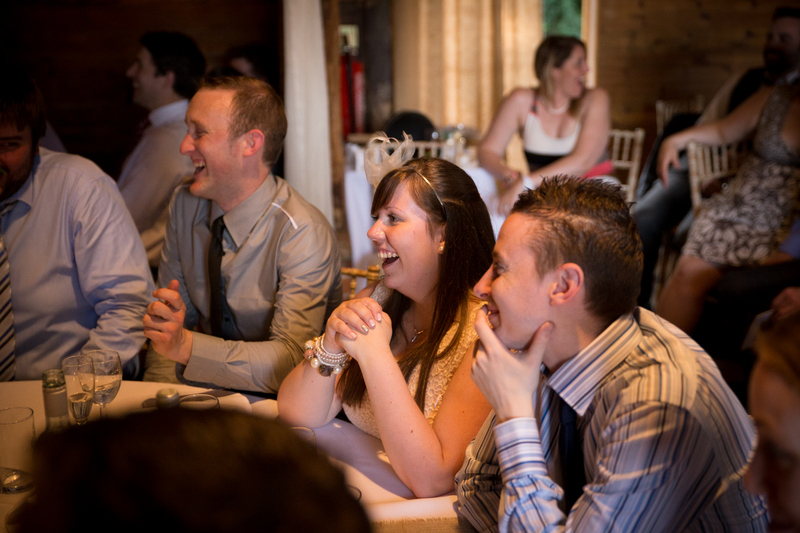 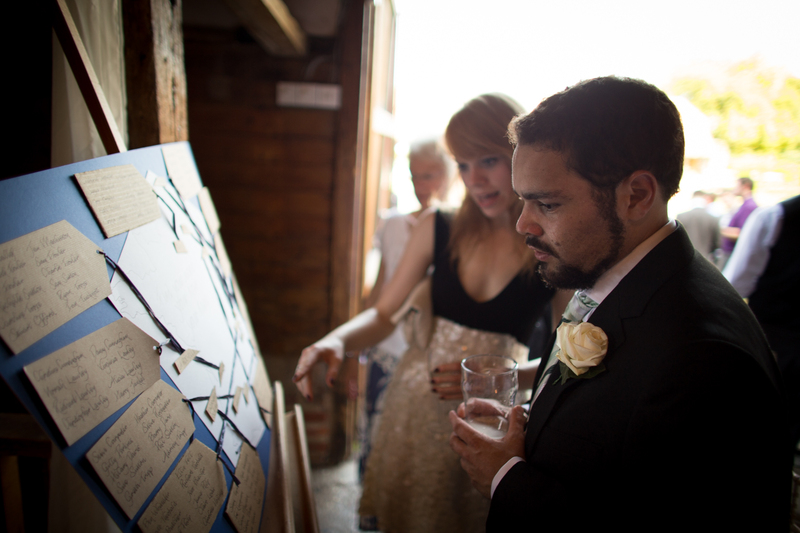 Here’s a lovely summer wedding to warm your cockles, and not just sentimentally either… Cat & Adam were married on what must have been THE hottest day of 2013. 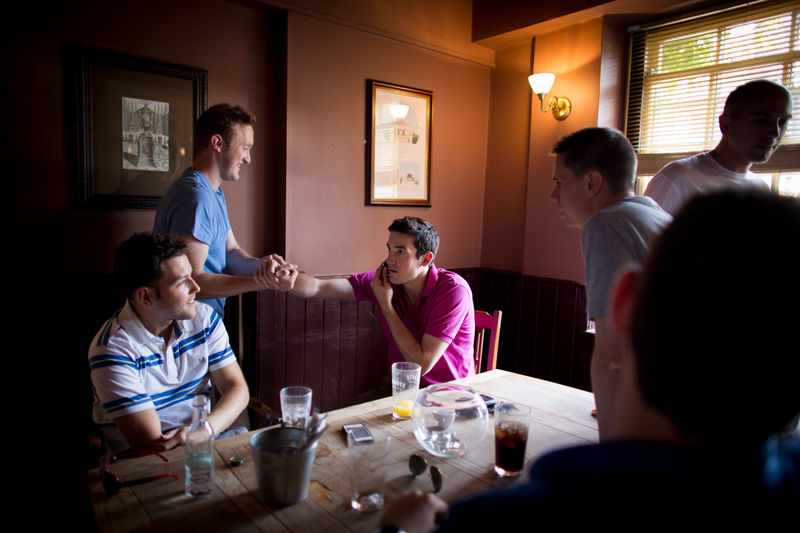 Temperatures reached a scorching 33 degrees at their peak, and we had already achieved 25 by the time I met with the guys in the morning. 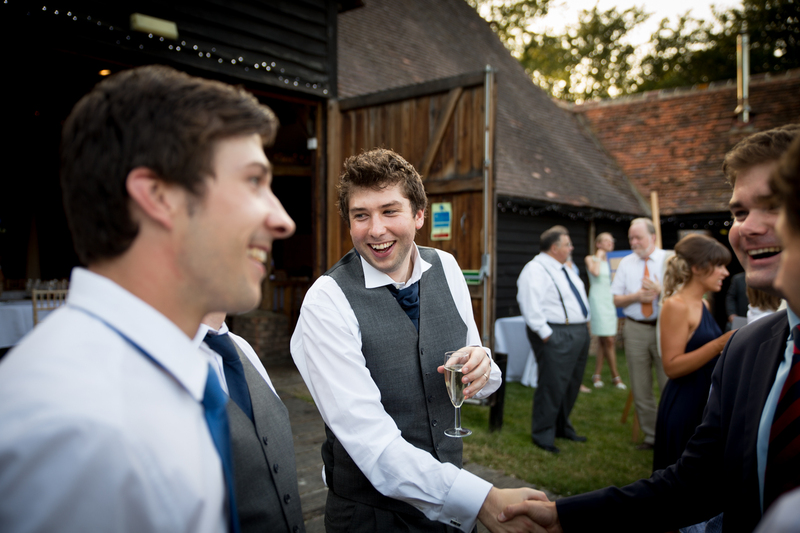 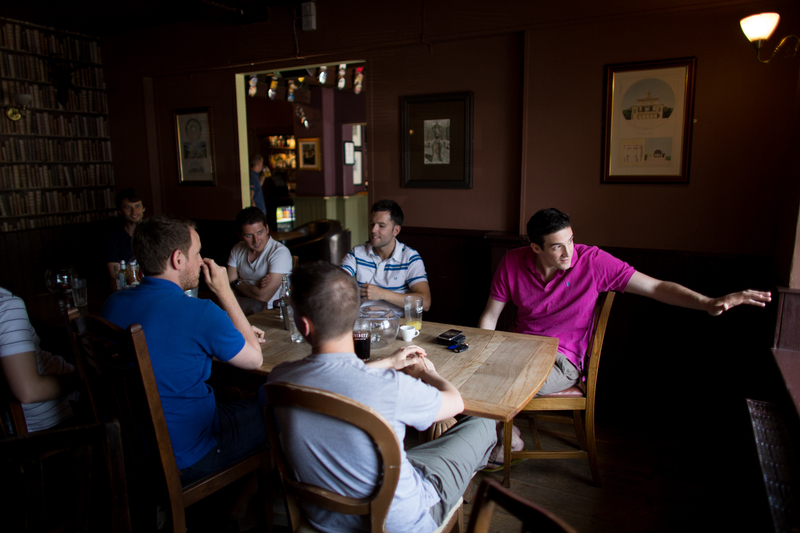 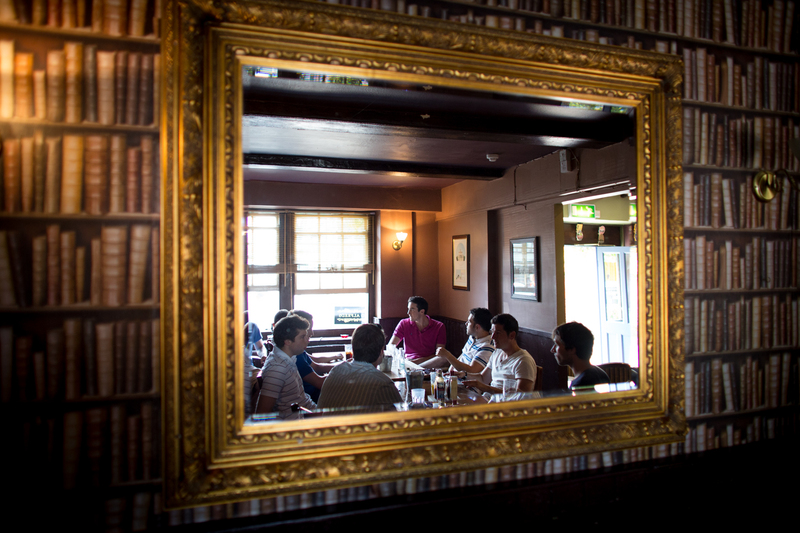 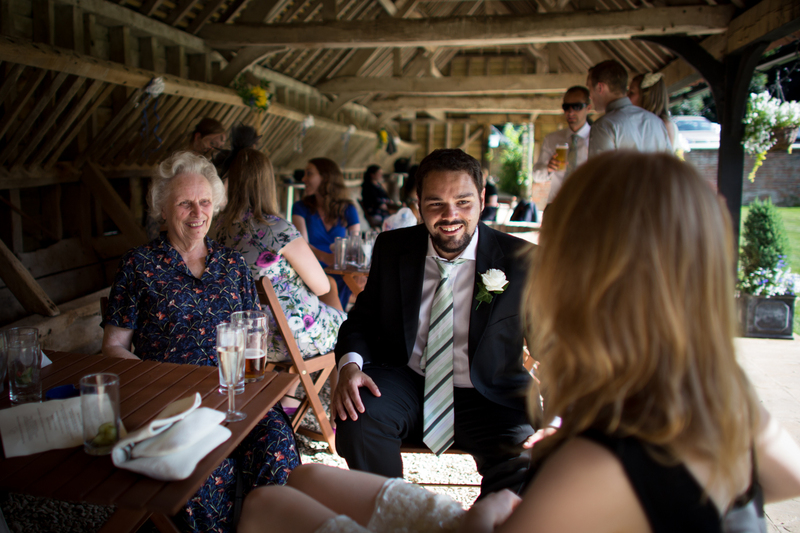 In fact, it was so hot that the Groom prep was temporarily put on hold and a trip to the pub was implemented as “Plan B” (although I’m not sure how much of this was actually down to the heat!). 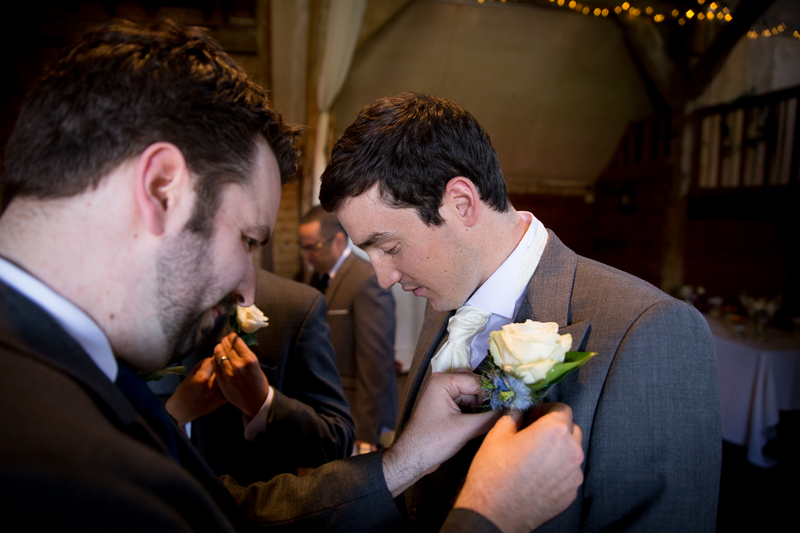 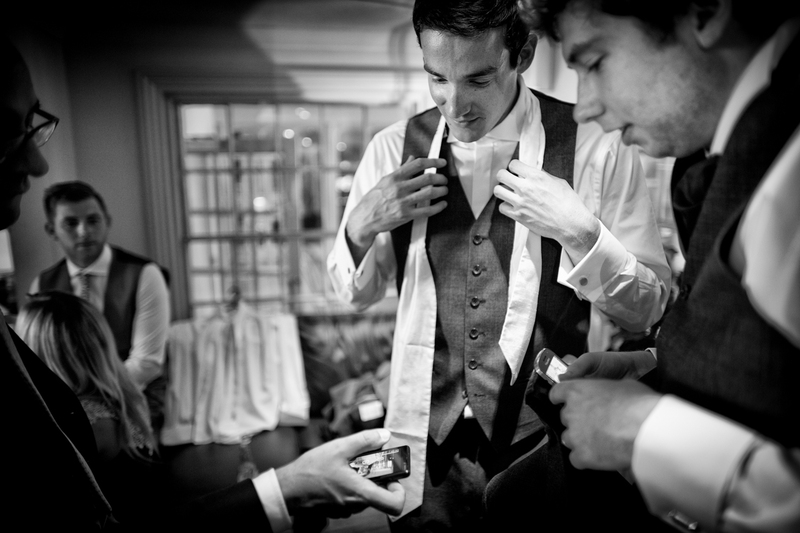 After some very sweaty men emerged from their hotel rooms, I was able to cover the last of Adam’s preparations in the hotel lobby while Jon Philpott stayed with the Bridal preparations. 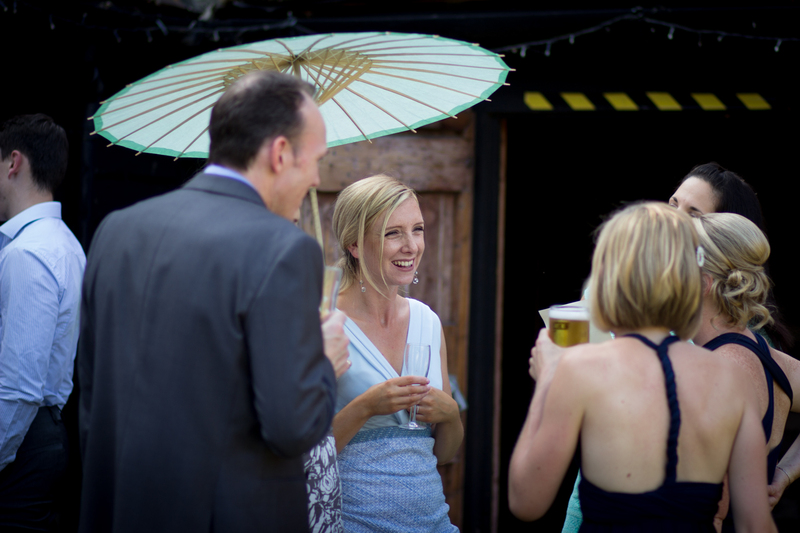 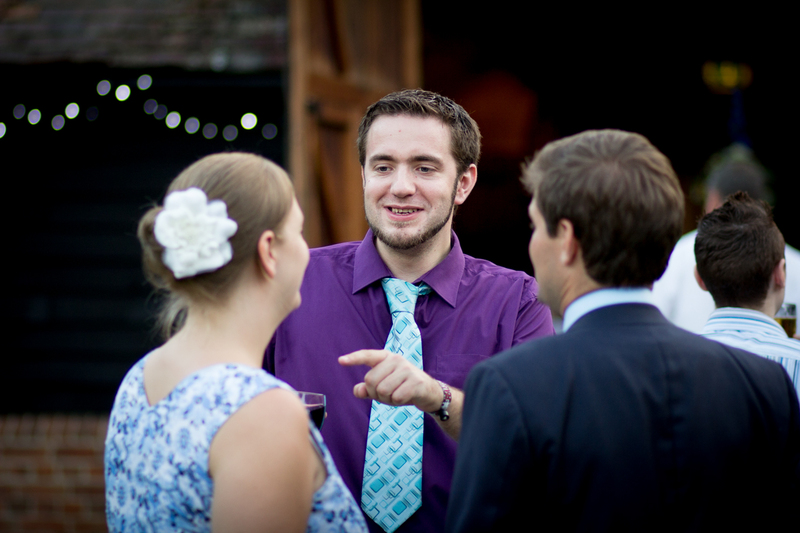 We later met at the venue where the guests took refuge from the sun under cover of the venue, and generally took it very easy for the rest of the day. 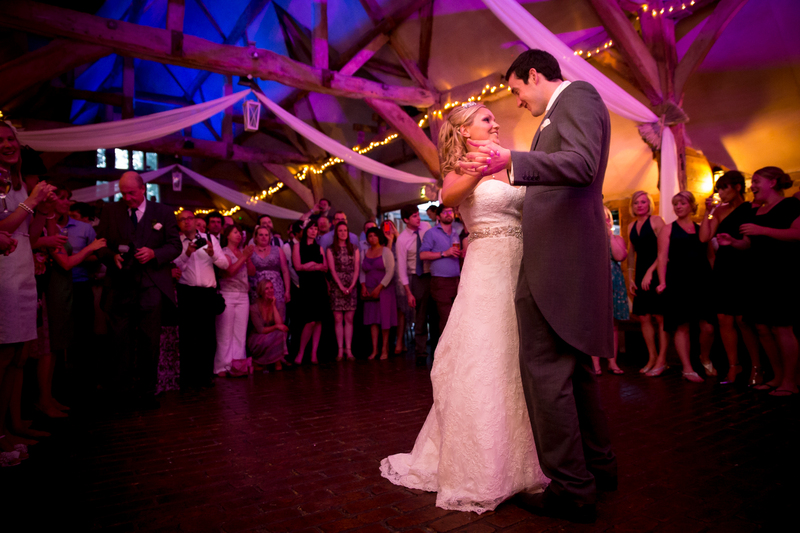 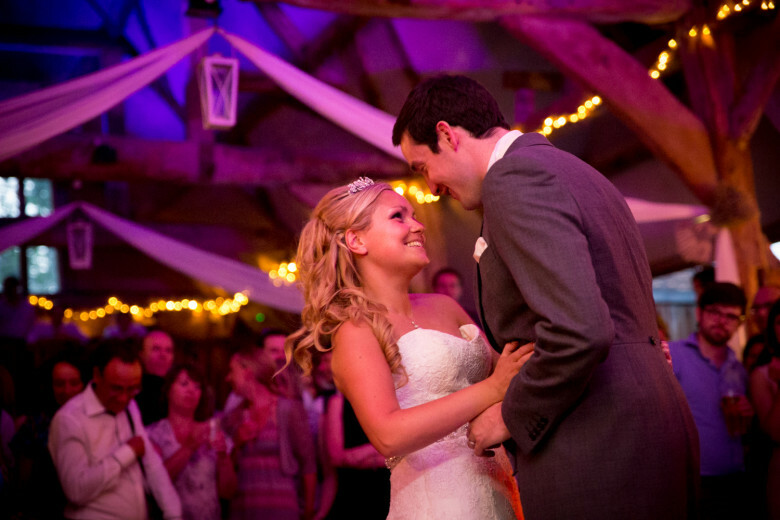 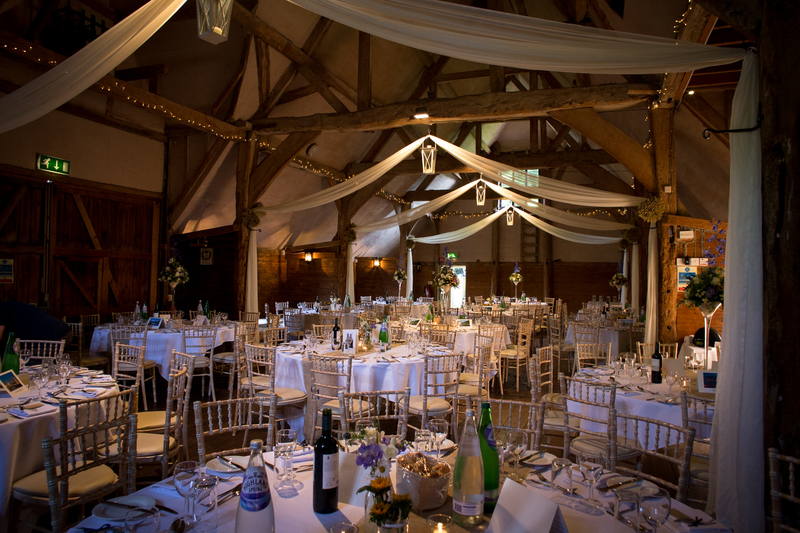 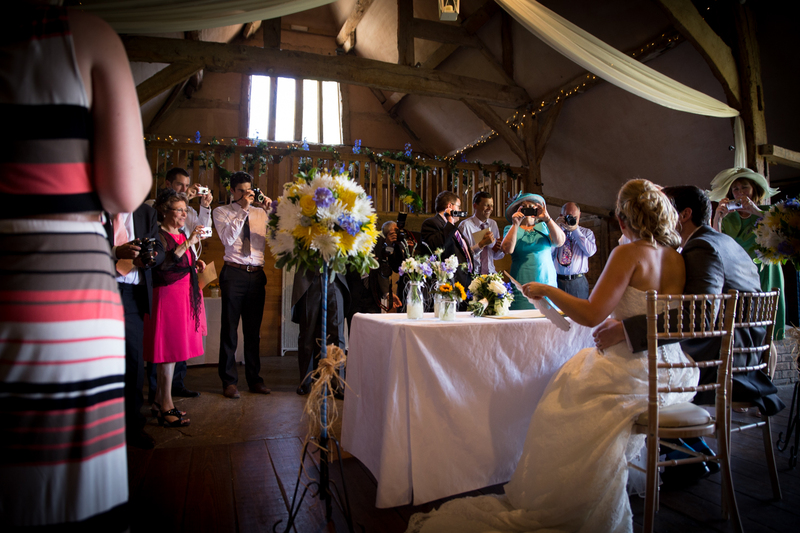 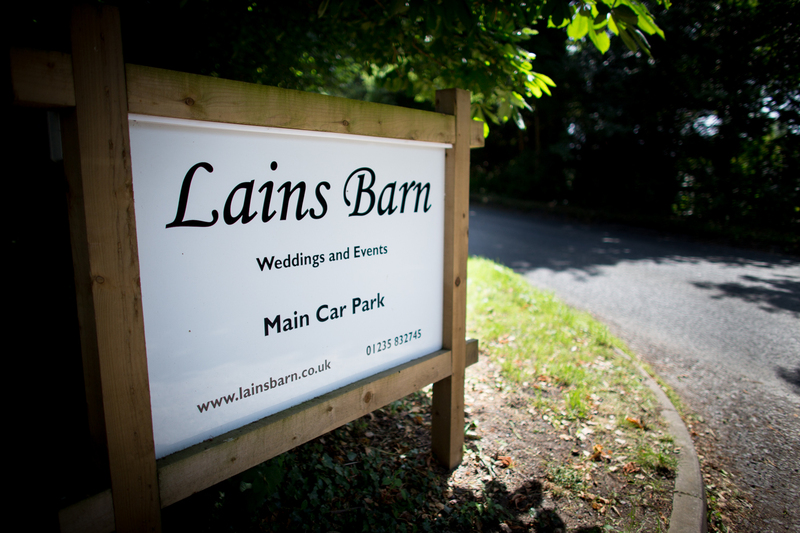 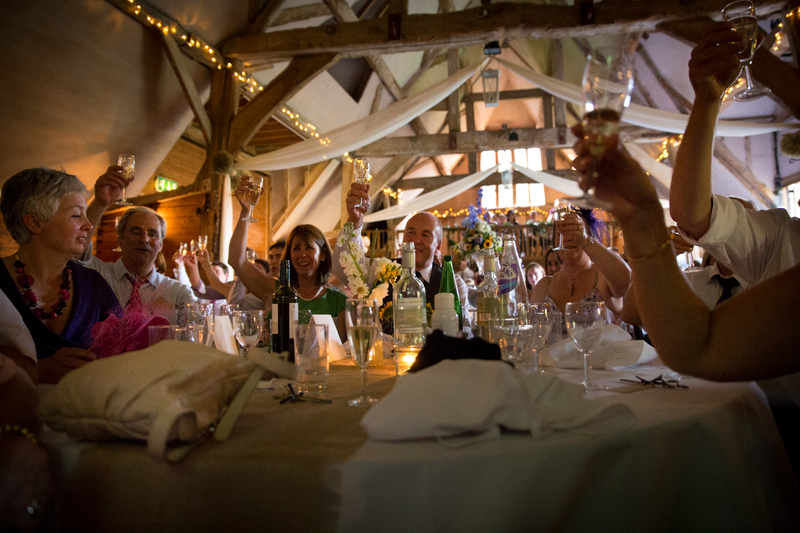 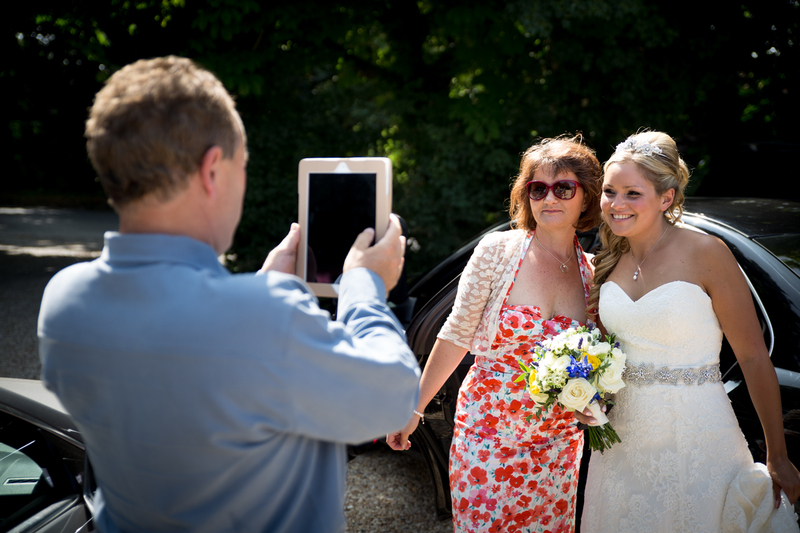 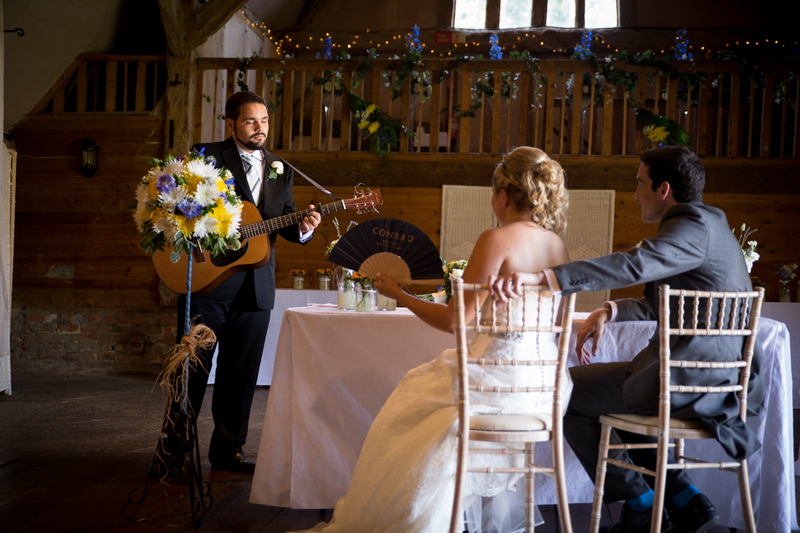 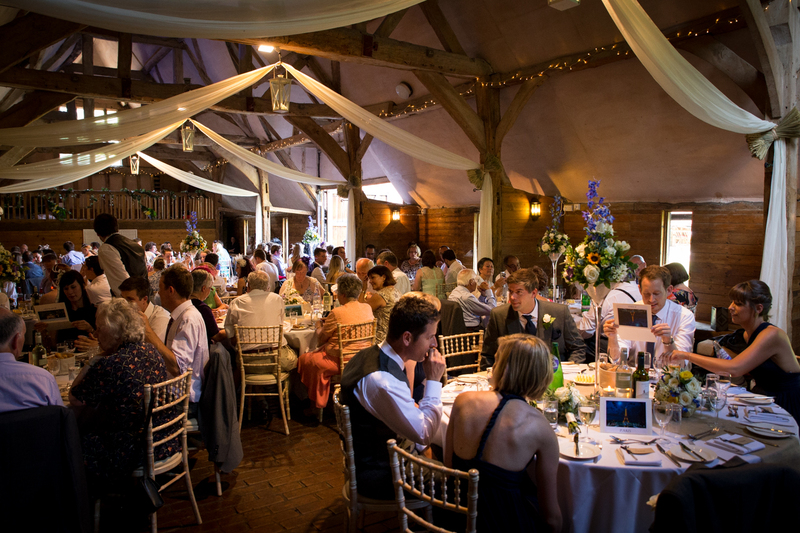 It was an absolute pleasure to capture Cat & Adam’s special day, and Lains Barn was the perfect venue for a lazy summer afternoon of celebration. 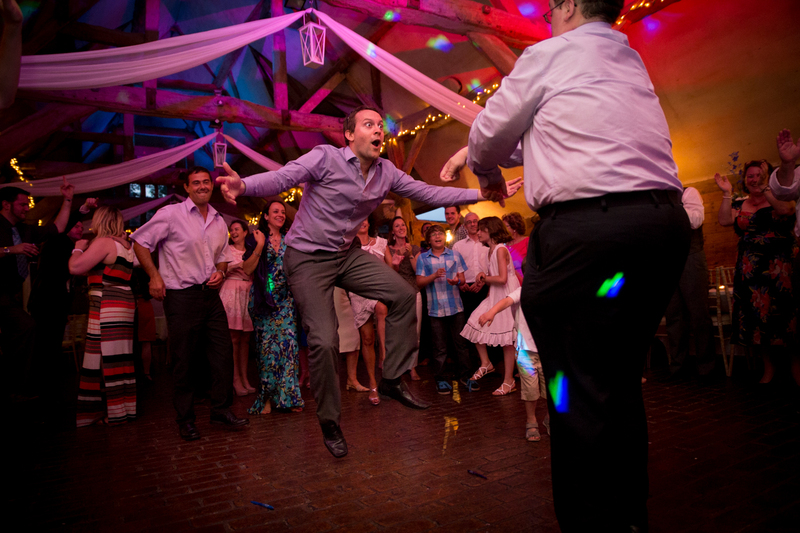 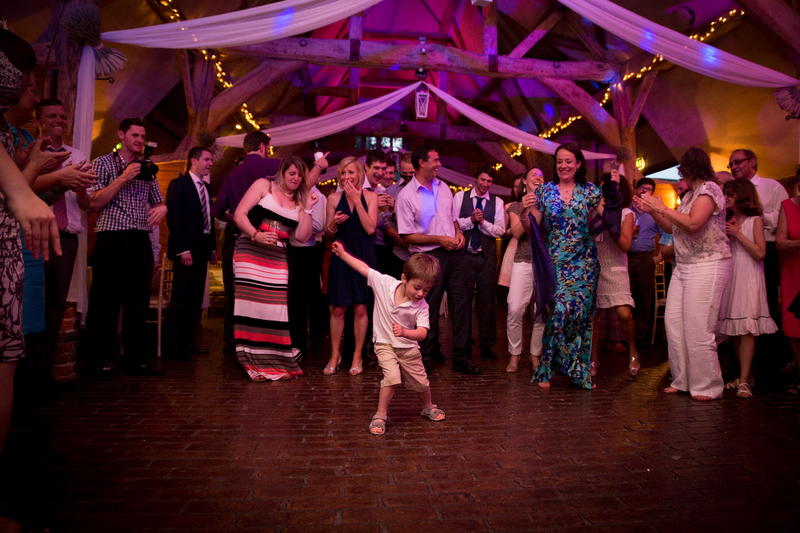 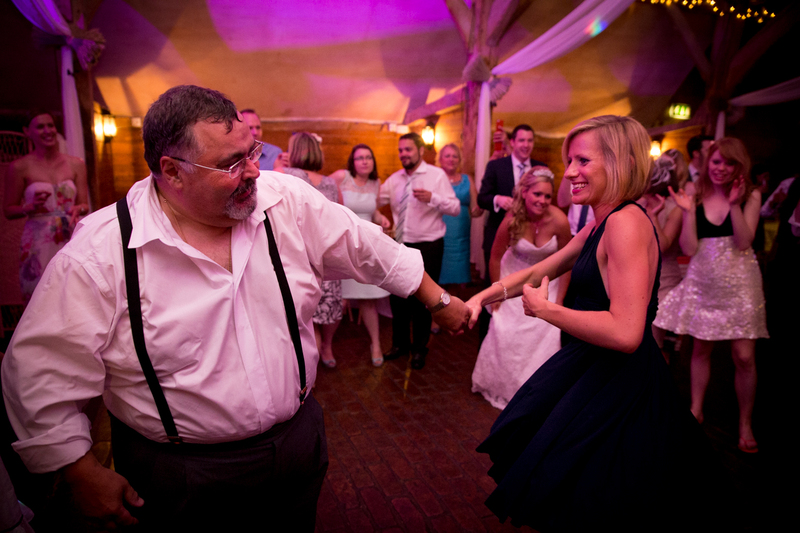 As the sun finally lowered in the evening the party really got started, and there were some pretty impressive moves on the dance floor to witness! 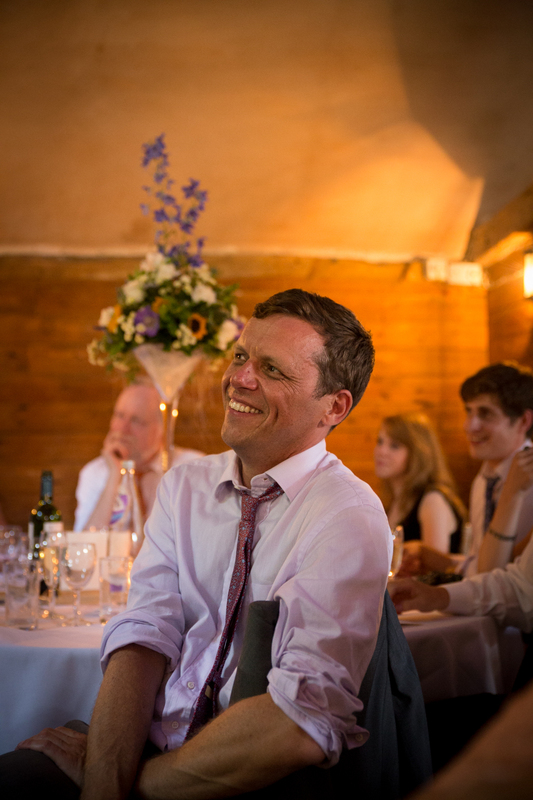 Here’s a selection of my favourites, and as ever I would welcome your comments.